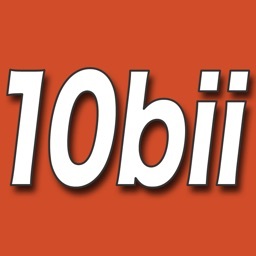 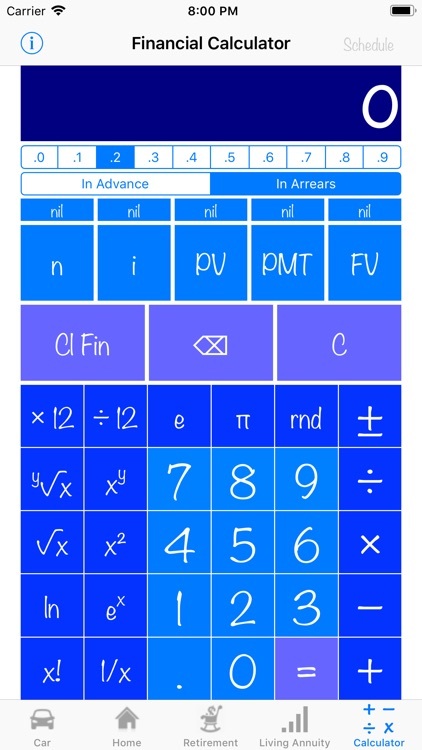 This is an easy to use financial calculator with five different tabs, all slightly differently configured. 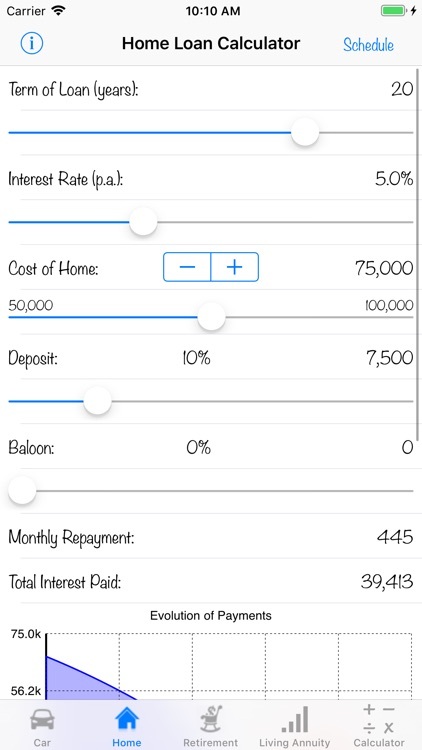 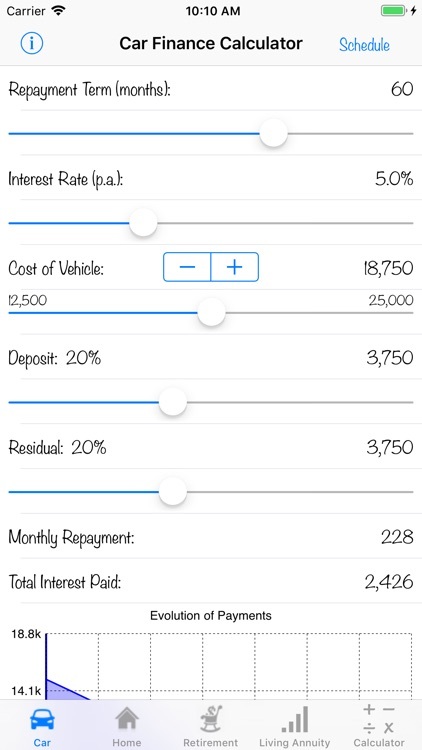 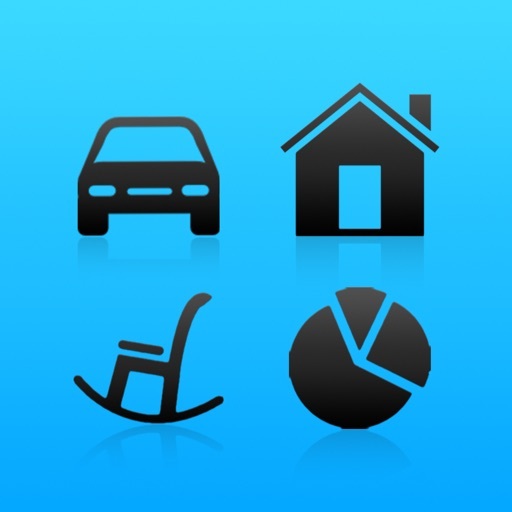 For the car and home calculators, you simply drag a bunch of sliders around, and watch as your monthly installment for car finance or home loans gets recalculated, as well as the graphs demonstrating the payment down of capital and total interest paid. 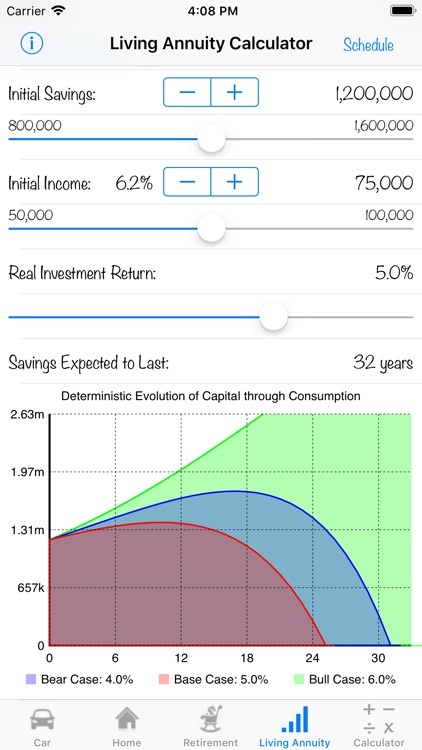 The retirement calculator allows you to flex many different parameters relating to savings towards retirement, including your current age and the age at which you plan to retire, as well as your real salary increases and real investment return assumptions. 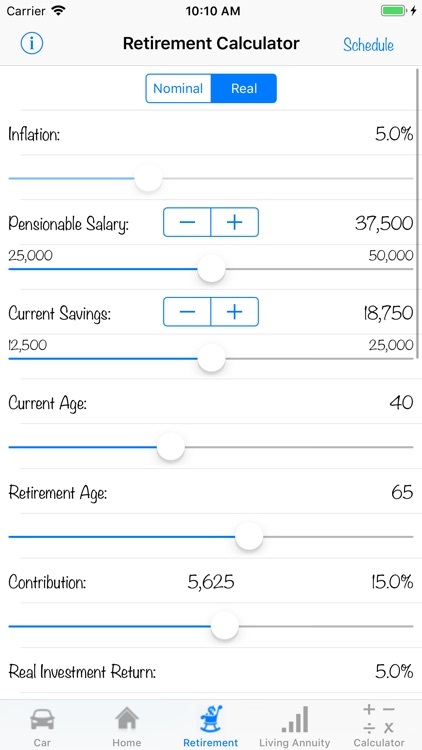 You can see how these and other parameters like your current savings, will affect how much you will have at retirement as a multiple of your salary at retirement (under the assumptions entered and no uncertainty). 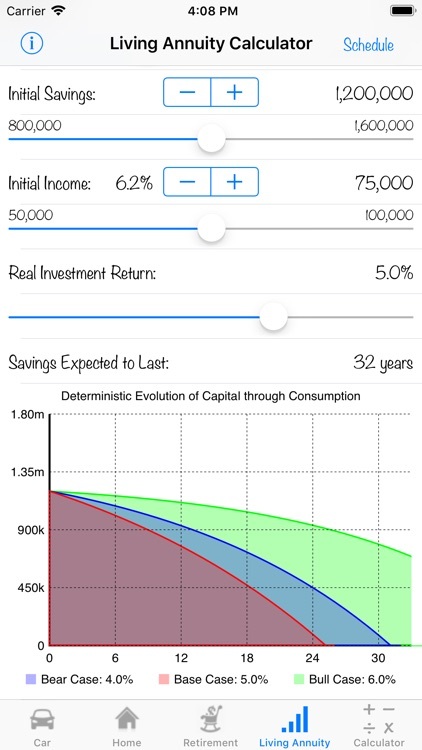 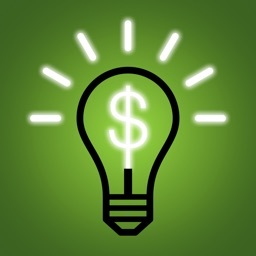 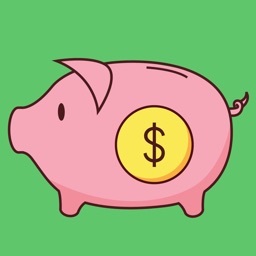 The living annuity calculator allows you to flex the consumption of your savings at retirement (or any other savings), and will calculate how long your savings are expected to last (again, under the assumptions entered and zero uncertainty). 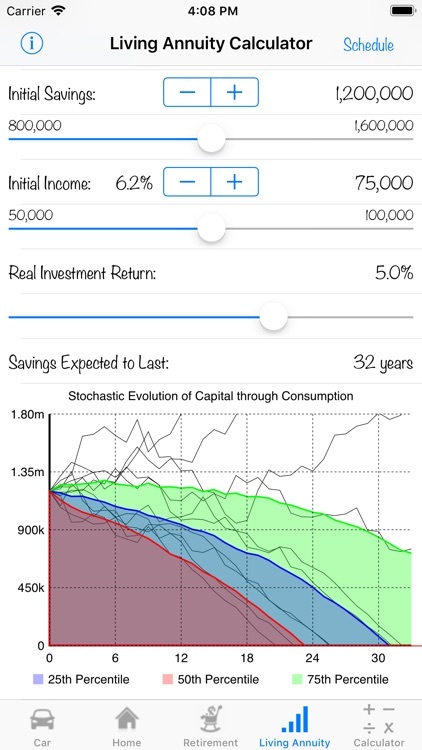 Alternatively, you can now see the results of hundreds of stochastic simulations for the real returns (where I've assumed a return distribution for each level of real return). 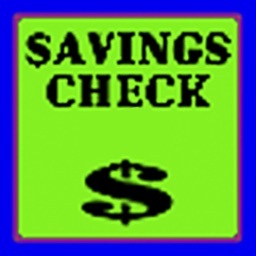 You can also see a full payment or savings schedule, and each calculator has its own help / info screen. 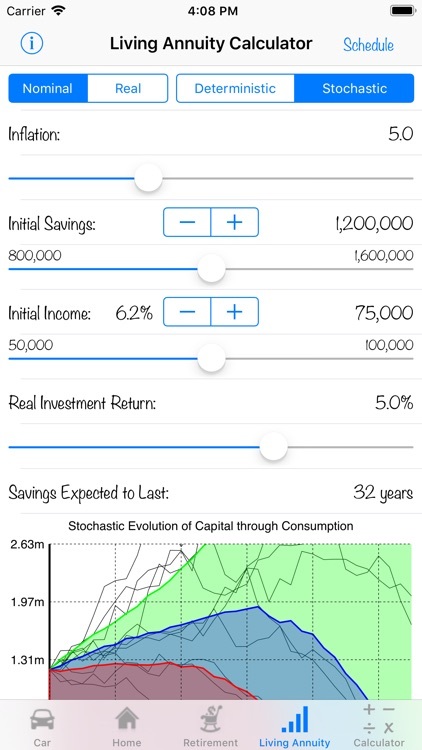 Finally, there is a full financial calculator that allows you to not only perform regular calculations, but also financial calculations (including solving for any of the five inputs, namely: term, interest rate, present value, periodic payment, and future value - given the other four).